On Saturday 13th April 2013, the very first TEDS for HERO's event took place in support of the HELP for HERO's Charity at the ROCKHOUSE 58 Club at the Royal British Legion, Yaxley near Peterborough. TEDS for HERO's co-incided with the celebration of the 3rd Anniversary of the ROCKHOUSE 58 Club in Yaxley. 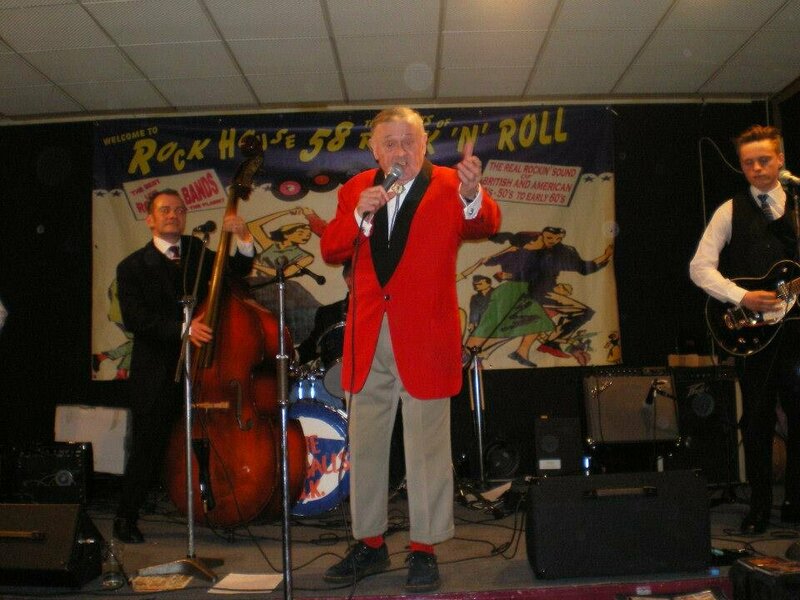 The event also celebrated the 80th birthday of British Rock 'n' Roll legend Wee Willie Harris by having the honor of hosting him as the star of the show and he was very ably supported by top British Rock n Roll band the Fireballs UK. The event had been in the planning stages for some considerable time by the Rockhouse 58 Club Committee and turned out to be a total success which the club is planning to repeat in 2014. A fabulous evening. Willie performed an extremely well chosen selection of songs all historically a big feature of his career in the 1950s - including "Rockin' At The 2Is", which he wrote - on the bus!! - and "Love Bug Crawl", "I Go Ape", "Rag Mop", "Lollipop Mama" and more, plus "Rosalie" which he told us he had not performed live since he cut it in the studio (though of course the deejays play the record all the time!). 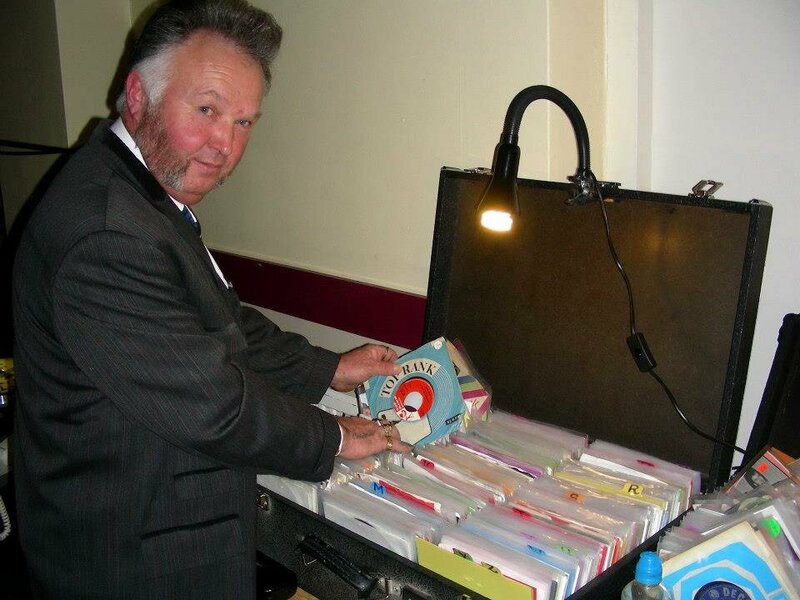 Martin Smith, lead singer of the Fireballs UK had been practicing the backing vocals and music with the group for 3 months previous in order to recreate the Decca sound as near to the original as possible, which they carried out to perfection. 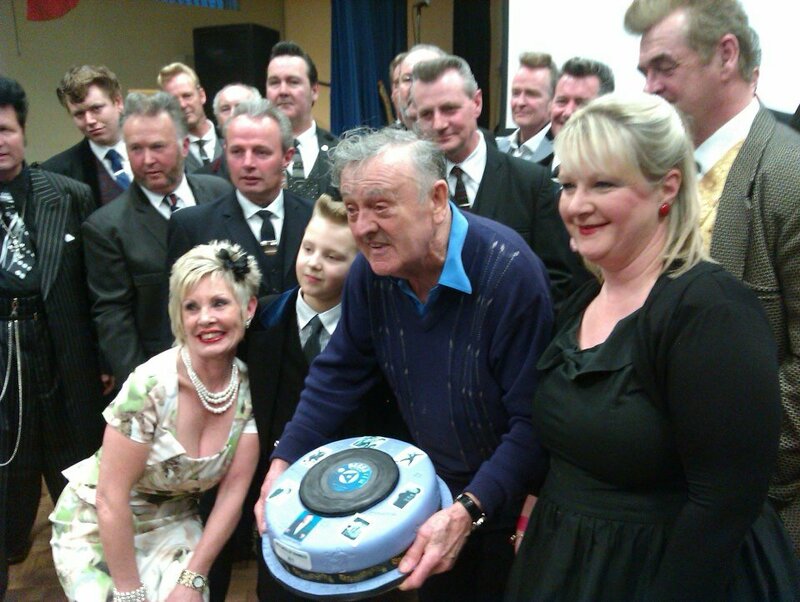 Teresa Baxter had baked an excellent cake with a 45rpm disc on it for Willie, which gave him great pleasure. The Fireballs UK gave two excellent sets of classic British late 50s and early 1960s Rock 'n' Roll. This was exellently supported by DJ's Karl (Rebel Ted) and Steph (The Professor) had Willie's classics on hand plus lots of favourite jivers to keep the audience busy. 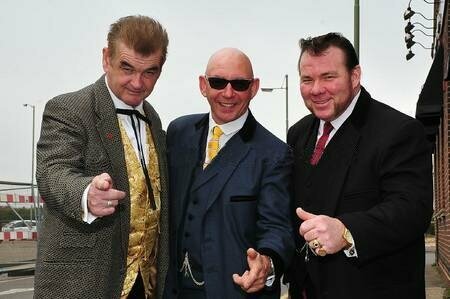 TEDS for Hero's was the first full on Teddy Boy event at this club, so the drapes were out in force to honour Willie. Wynonie Harris and the other big r'n'b stars who first influenced Willie (eg "Lollipop Mama").